Amish Poly Garden Lighthouse - Choose Your Size! 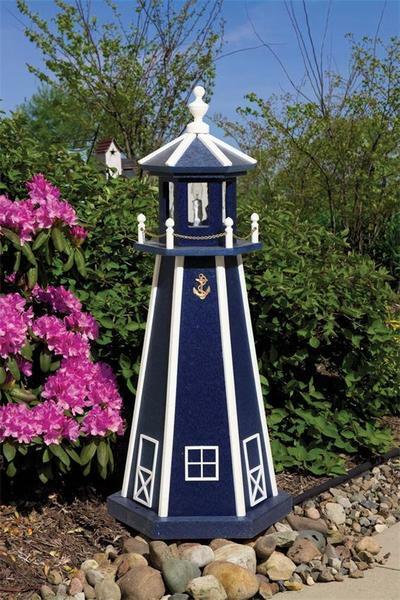 The Amish Poly Garden Lighthouse is customizable to fit your outdoor scene. Lighthouses add a gorgeous light fixture to your porch, patio or garden. Poly lumber promises longevity. It is made of recycled plastic, making it an eco friendly choice and poly will not rot, splinter or rust. It requires very little maintenance, just soap and water on occasion. Select options for your lovely lighthouse today. Lighthouses make a wonderful gift too! Order online with ease or get in touch with our team of Furniture Specialists today.